Hi friends! Happy Thursday. I hope everyone had a wonderful 4th of July. I'm currently in an RV headed to Michigan with my family for the weekend. Traveling in this home on wheels is a first for me and let me say, it's quite the experience. LOL But I am excited to enjoy some R&R on the lake with my family. I haven't been back since 2014 so I'm so excited to see everyone and soak up some vitamin D.
I'm so excited about this post because as I start my life of full-on adulting, I am realizing how much I love decorating. It's not just the basic concept of decorating though, it's finding the best bang for my buck, transforming things, and doing it for a very affordable price. That may mean doing some digging, grabbing from people's trash piles on the street (yes, I did that quite a few times 😂), or painting a piece to make it fit the aesthetic of my house. I'm having the best time making something out of nothing. 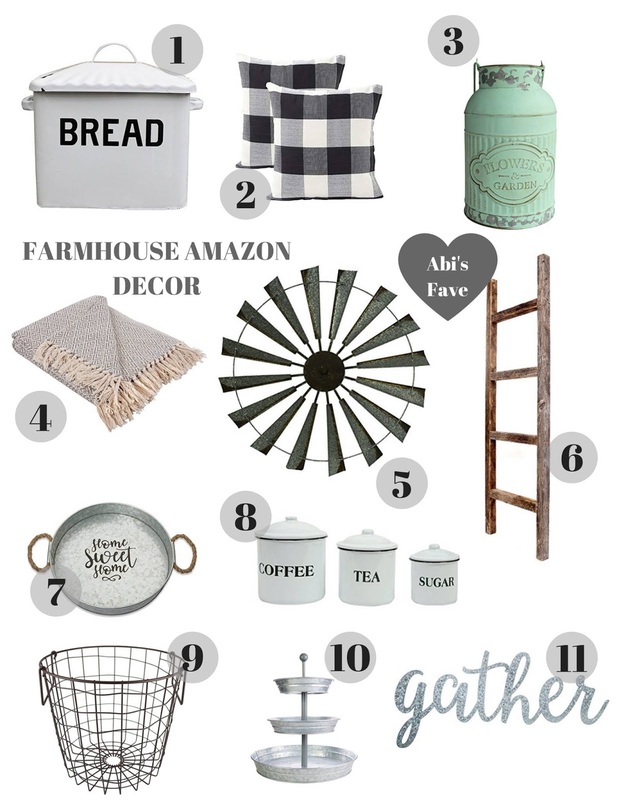 That's been my motto and so with that being said, I wanted to share some great farmhouse pieces from Amazon that are in my house. They are all over the board in price which makes them great for everyone! I don't own every piece but about 75% of the items above are either hung or decorated in our home. Let me know which piece you love the most! Thanks for reading friend! Have a wonderful weekend!